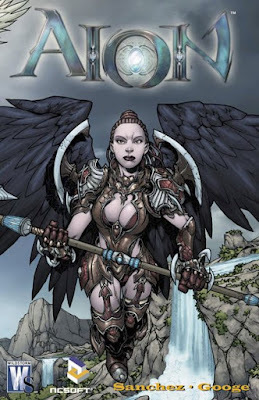 NCsoft, the developer of Aion and DC Comics teamed up to create a limited edition comic book based on the much anticipated MMORPG. The focus is on Asmodian Daeva Aiva, who appears in some Aion adverts and her statue will be part of the Aion Collector's Edition. Here's the comic book cover.